Earlier this week the Coalition for an Ethical Psychology (to which I belong) issued the statement below. A PDF version is available on the Coalition's website here. 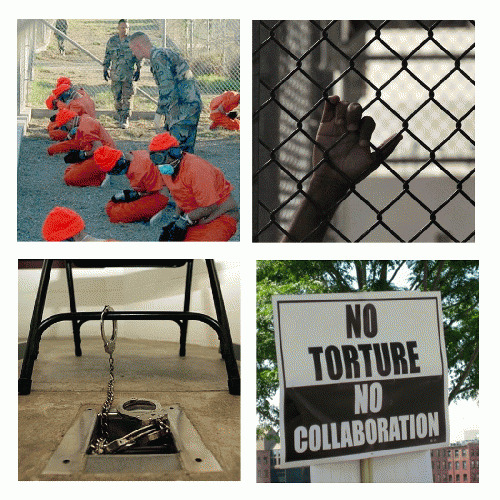 Denying and enabling torture require nothing more than refusing to acknowledge evidence that torture occurred or that specific individuals were involved. "Governments, groups, cultures, or individuals need only reflexively dismiss all evidence as questionable, incomplete, misleading, false, or in some other way inadequate. The Ethics Office of the American Psychological Association (APA) has announced that it will not proceed with formal charges against military psychologist Dr. John Leso, despite extensive public documentation that this APA member designed and participated in abusive interrogations at Guantanamo Bay, Cuba. In fact, Susan Crawford, the convening authority on military commissions at Guantanamo appointed by President George W. Bush, refused to refer the case of detainee Mohammed al Qahtani to trial because she concluded his interrogation met the legal definition of torture. Dr. Leso is known to have been a supervisor and participant in that interrogation. If psychologists have engaged in any activity, and at this point the media reports are long on hearsay and innuendo, short on facts, the American Psychological Association wants the facts. And when we have the facts, we will act on them. And if individuals who are members of our association have acted inappropriately, the APA will address those very directly and very clearly.